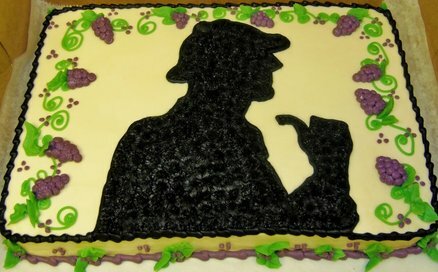 Before we get to the iconography, check out this delightfully creative edible depiction of Sherlock Holmes. 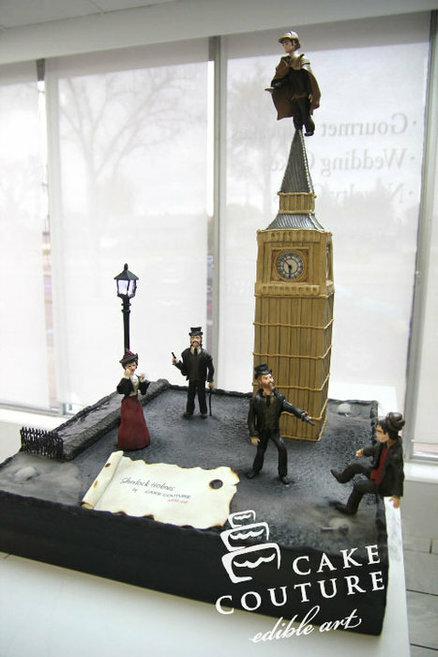 Sure, it’s just a sheet cake with some fondant sculptures on top, but I challenge you to create five edible people and a clock tower out of icing. 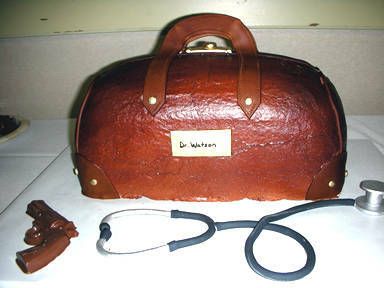 For once, Doctor John Watson is shown a little edible love with this physician’s bag, stethoscope, and, since he hangs out with Sherlock Holmes, a revolver. 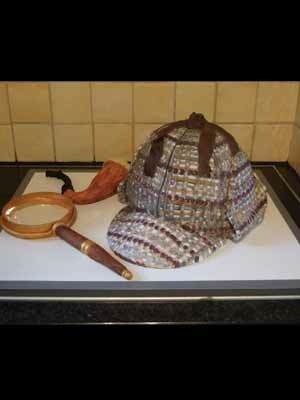 One dome cake pan + two circles of icing + 3 steampunk themed edible pens = instant deerstalker hat. When Sherlock smokes too much opium, he invites people over to his flat to play Clue. 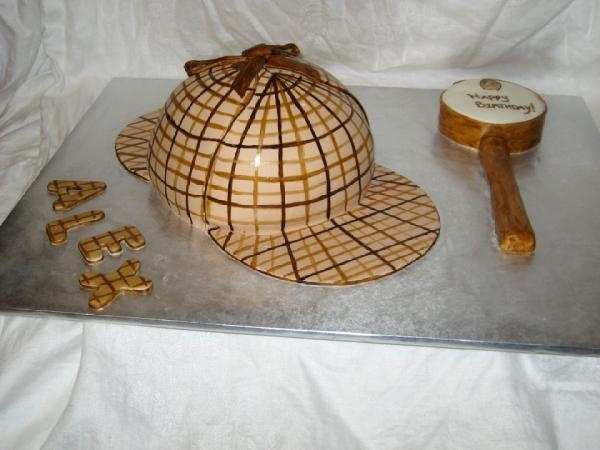 I congratulate the artist for making this Deerstalker cake terrifyingly wooly. I hope the birthday boy got a photo of himself shoving someone’s face against that beautifully realistic brick wall. 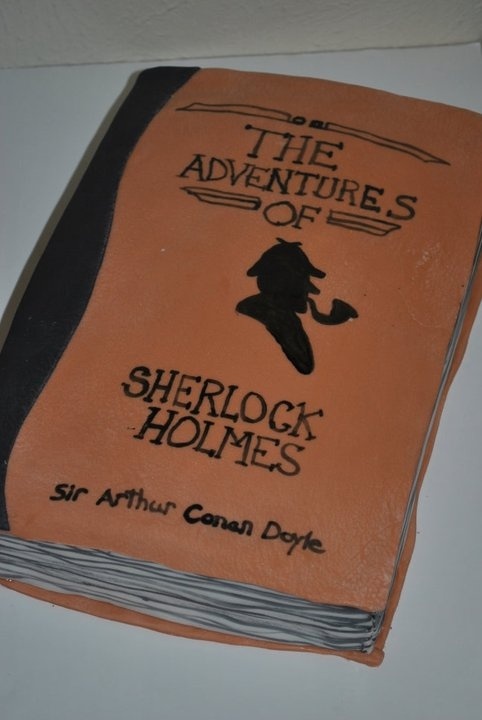 For these cakes, Sherlock’s deerstalker has been upgraded to actual book pages. 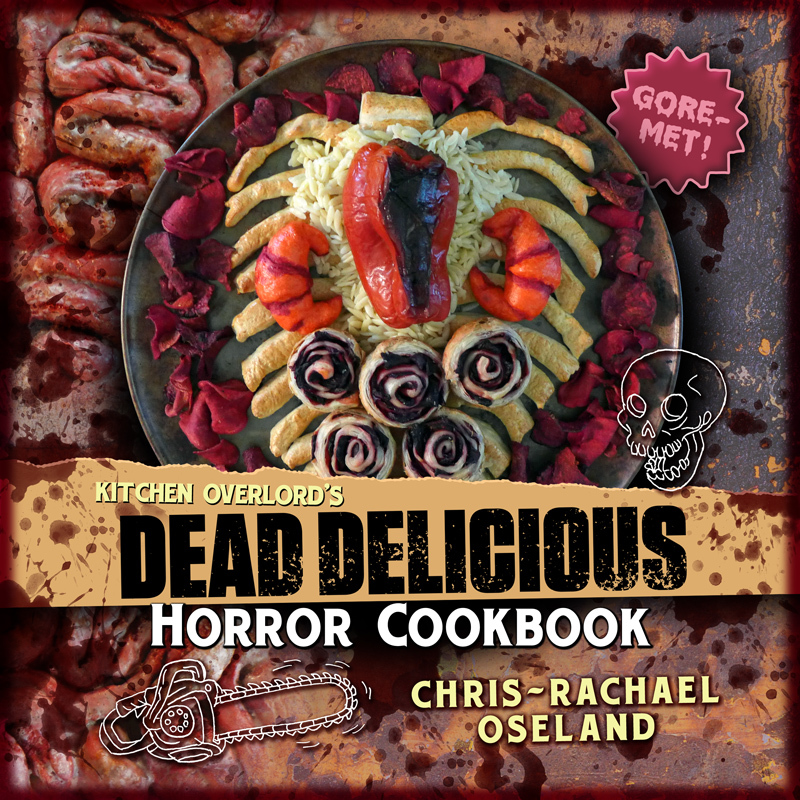 I don’t know if I could make myself cut into something I can actually read. 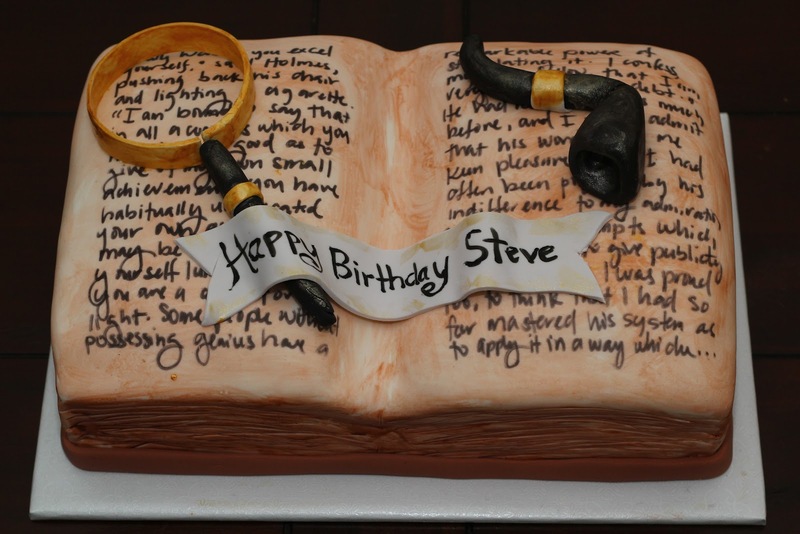 Steve’s cake artist took pity on bibliophiles by covering up more of the words. I still can’t help but wonder if he carefully peeled off the Happy Birthday banner and read what was beneath before cutting the cake. 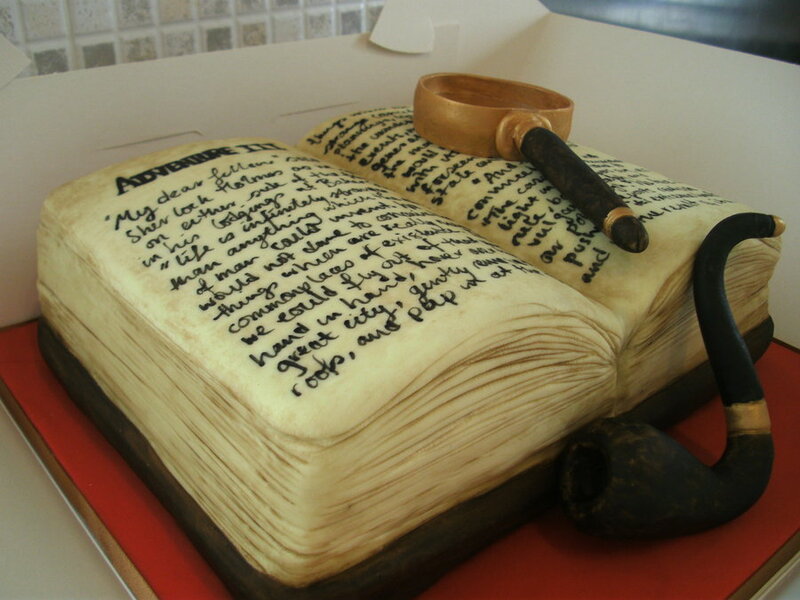 This cake artist mercifully went for a closed book. 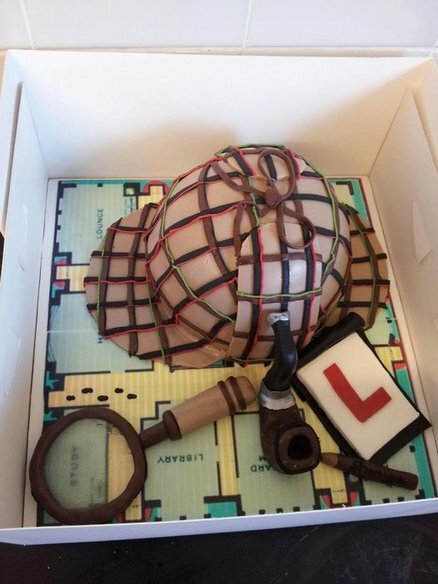 If you pay attention, this cake almost wins at combining all the Sherlock iconography into one dessert with the book, silhouette, hat and pipe. All it’s missing is a magnifying glass. Look, Inez is 10. Keep the kid busy with a chocolate pipe and they won’t even notice we just laid a couple photocopied book pages on top of a sheet cake. 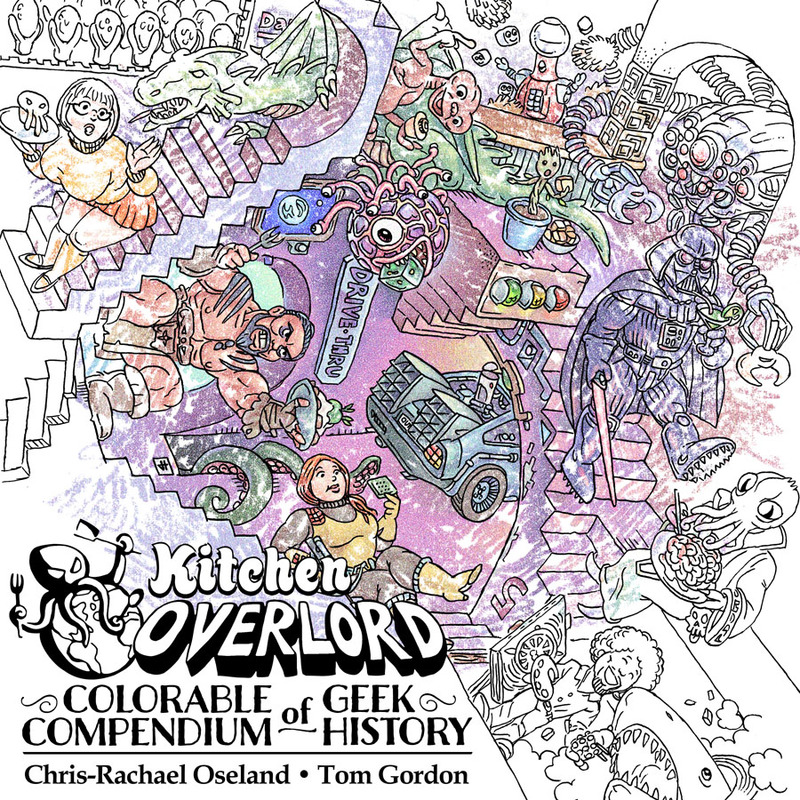 I see eight Sherlocks and a pot of icing, which must surely be the title of a Sherlock/Doctor Who slash fanfic. 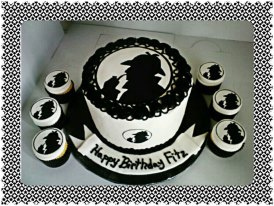 As someone who thinks fondant tastes like sugary play-dough, I approve of this buttercream silhouette. Speaking of buttercream, there’s something charming about this home made, hand piped birthday cake. 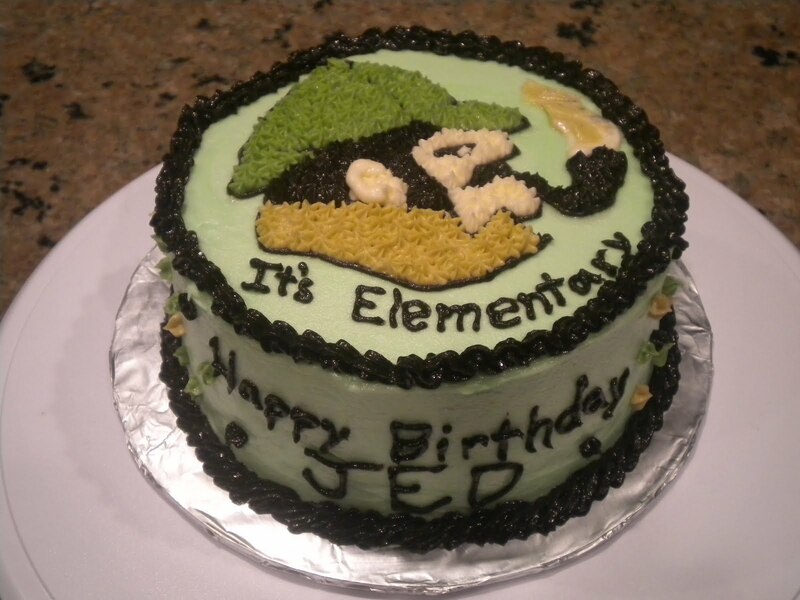 You don’t see a lot of cakes like this anymore. Finally, we have a winner! 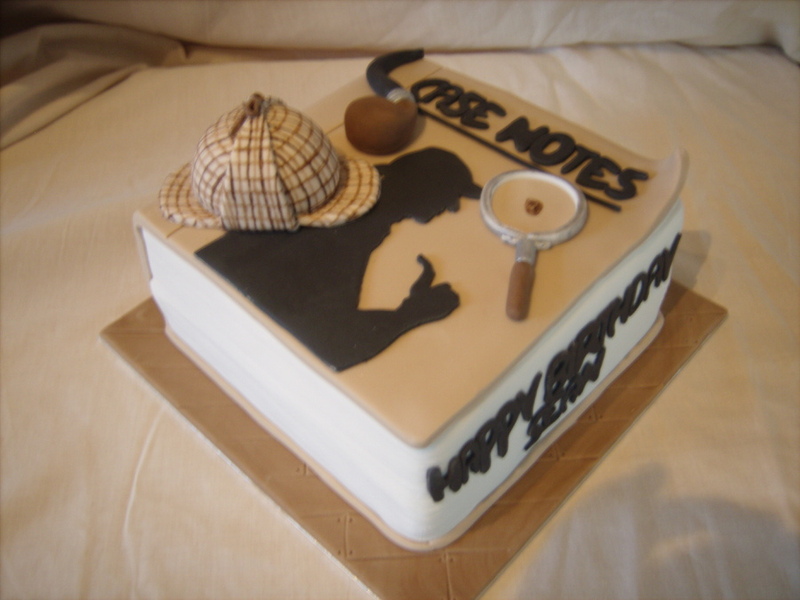 Everything you think you know about Sherlock Holmes is crammed into one book shaped cake topped with a silhouette, a deerstalker hat, a pipe, and a magnifying glass! The only thing more Holmsian would be an actual book by Sir Arthur Conan Doyle. 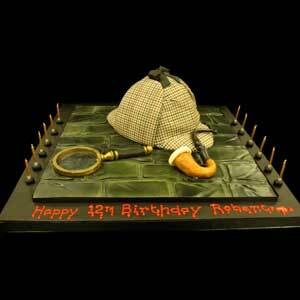 Need more edible Sherlock Goodness in your life? Kitchen Overlord’s BBC Sherlock themed teabag shortbread cookies. 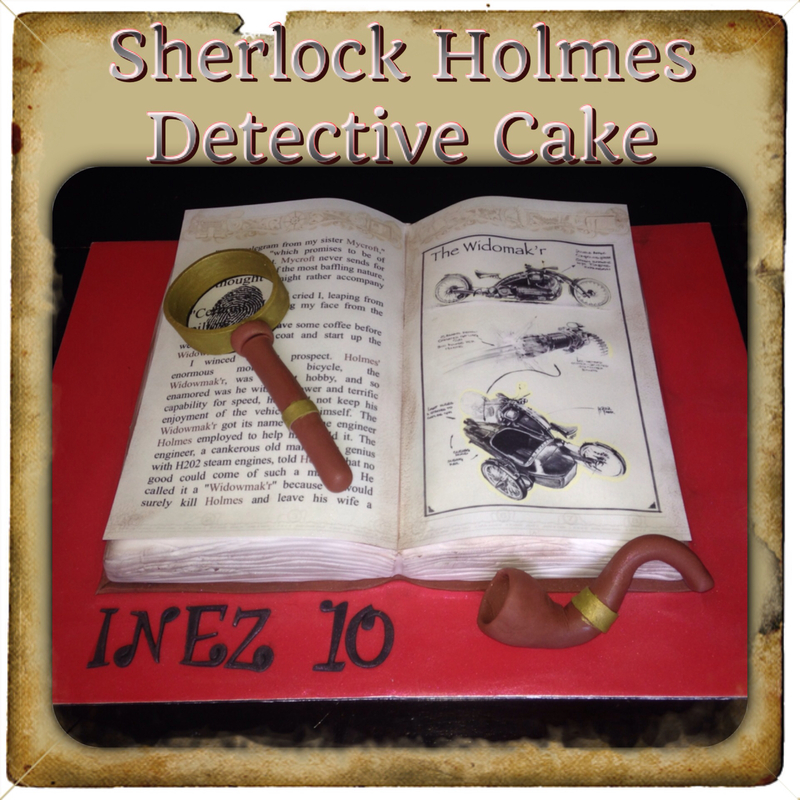 The BBC Sherlock Geek Cake Friday.